Discussion in 'SEO - Link building' started by iAuthority, Oct 5, 2015. Thanks for sending report on time, all good and as promised, waiting for rankings. will make detailed review after a week, thanks. I received a review copy of this service from OP a few weeks ago. As part of the review I received 3 blog posts on different sites, all directed to my money site. TAT was very fast and all metrics look good to me. My keyword was low competition but the page has been bouncing around top 3 for my keyword with only this service and a few other branded/generic links. I'm sure the larger packages could pack a fair amount of power based on the results I have seen. Content and images used for the blog post were relevant. The content may not be top-notch but it clears copyspace and the posts are from high authority site. Good Turnaround time too. Rankings are heading in the right direction. Therefore, highly recommended. Thanks! I've got selected for the review package earlier and I must say, the op did a great job. The content were totally relevant to niche and exact 450 words count. It passed unique in copyscape as it was 100% hand written (You can guess easily after reading). The backlinks were good and OBL were near around 35 for me. DA was 22 and TF 11. Overall a nice service and recommended one. Good Luck for your sales mate. Got a Review from OP. Got 3 Guest Postings on different PR 3 Sites. Sites matrics confirmed and Good. Keyword was competitive, but still I see links are indexed without doing anything. Fast tat and good unique content. I am very lucky that I got the chance to get review of iAuthority's new service. One can easily get good serp with the service. I was among those who were offered review copy before this thread went live, and I got 2 links from powerful websites! First I thought there is a mistake in the TF and CF, but it is for real. I have seen some serp boosting from just this 2 links and I know with a couple of this powerful links, first page is SURE. I received a review copy of two links. A Blog Post and a Guest Post. The writing passed copy paste, but did not read well. That was the only negative. The good part were how powerful these links are. This service stabilized a high comp KW for me which was bouncing in SERPs. Saw good improvements off of two links so I expect this would do wonders for easy competition KWs. The report was well laid out. Seller is very professional and helpful. Willing to communicate with me and answer any questions. A + for sure. Saving this service for future use. I was lucky to be given a review copy before the thread went live. And here is my honest review. I was given 2 links from website with DA20+. I manually check and all the links has been index already. Although is it almost 6 days now, my site primary keyword has move from position N/A to No.8. I recommend this. It is a steal. iAuthority gave me a review copy to test it out before his salesthread went live. 2 backlinks were given: 1 from guest posting and 1 more from a blog post (PBN). Firstly, the guest post has an amazing high DA of 37 with a PR of 1; the PBN has a DA of roughly about 10 with a PR of 4. What I like is the guest post website is related to my niche and I strongly believe is what help boosted my site's ranking massively (from no rankings to 30-50 for different keywords). And of course, the article is readable with relevant images embedded. Highly recommended! I'm definitely ordering more if iAuthority has more relevant backlink sites to my niche. I've got 1 Guest post and 1 Blog post from the seller. The content is about 300 word which is unique and copyscape passed. Both the domains had a DA of 31. Turn around time is fast. Themes and custom logo was used for the site which looks great. Even images were related to my keyword. It is too early to post SERP movements, but I'm sure it would bring it up. It is okay to link this directly to your money site. Got my review package last week. Was given two articles, both nicely written, unique with images. I can already see a slight increase in ranking only by the addition of these two new articles alone. Got the review copy from OP, the links were pretty good images and relevant content. Sites had good metrics too, I am fully sure that I will see improvements with this links. Thank you Op for giving me the review copy of this service. I got total 3 links from blogs. Content is not a very high quality but readable and unique. Some really nice properties here guys. The PA/DA/TF factors here are all top notch. Better yet this seller takes the time to get quality niche content created. These sites aren't spammed to death like you see a lot. Very natural and real websites, quality blogs guest posts. The content was straight-on perfect for my niche, and extremely well crafted. More than just readable. Thanks! Everything is ok! Received reports from the previous orders and I made new orders! Good performer! Received my report. All backlinks are well-placed and the keywords are distributed nicely. The articles are okay and readable. I got one backlink on a PR5 site too which is great! The seller is patient and professional.No matter what I consulted,he is always willing to communicate with me and repay patiently. Got my report back. I haven't checked all the metrics out yet (however i'm not really worried), but did check out the links and they look great. Content is readable and links are exactly how I wanted. I'll be tracking these rankings very closely, so i'll be giving another update as far as rankings in 2 weeks. I got my report for pack 2 good TAT :clap2: Good backlink sources again from this seller I like to work with him. Recommended to all buyers. Now I placed another 2 orders for my another project with 30% discount. For the first time I ordered a iAuthority. I ordered the first package . In the mail came a report with URL. The result of the positions is not checked. So will I order again. Report received earlier today, I've reviewed the links and the DA/TF is good for the money - all +17 DA, most +20. The content isn't great, but most importantly its PASSABLE and passes COPYSCAPE- I'm not sure whether it's spun or just poor English- either way though for the money paid I cannot complain. So far only 1 of the posts is indexed so I will wait a while before checking back. I imagine these will bump in SERPS given time. One disappointment is that my posts are already on page 2 (50 posts shown one homepage) on almost all of the sites... and they are yet to be indexed so maximum effect is lost here. Overall, an OK service for the money delivered in a timely manner. I will probably find a spot for this in my regular tiered campaigns. Overall i very liked this service! Asked a lot of querries from this seller. he answered all my question with patience. and made an order with Dripfeed. All my links are very good TF and DA like as he said. Content are 100% unique for both blog post and guest post and niche related sites. I got an good serp from this service. really happy to work with him. I just received my report today. Blog looks really good Theme used for One blog is really amazing kind of news. They used social sharing plugin and ratings as well which make blog more natural. Content is ok at this price point. My links not indexed yet because its too early. I will update after few days for ranking and yes i will use them again in future. I ordered Package 2 last week for one of my Tier 1 sites. The stats were as promised, all unique unique domains at PR2+, unique IPs and OBL were all less than 25! The written content was much better than I expected to be honest, and actually provided useful information to the reader, reads well with no spelling or grammatical errors. Most importantly I think it would pass a manual inspection by the G webspam team to. Multiple images were included on each post. Running my rank tracker I've found that of the 10 keywords I'm targeting seven have risen and three currently remain unchanged. Of those seven, four have risen from page 4 to page 2, one from page 3 to the top of page 2, one from the bottom of page two to the top and the last one has gone from mid-page two to third on page one. So basically I'm extremely pleased and will be ordering again thanks to the results! I ordered links with high quality domains. Thank you iAuthority. I recommend him. i got my report today. i would say service as described. very good and clean backlink profile so will fit your money site. this service give me a little boost in my target keyword. Okay, i just receive my custom reports. Thanks a lot. The contains and the blogs itself is really good with verified metrics. I have no doubt this kind of pbn will rank my site for sure. Now we will wait for the results. I placed an order three weeks ago. Blogs are pure niche relevant. Content is great with relevant images. Metrics are quite good as described. All the keywords are moving good. I had a great experience from this seller. He answered me all my queries with quite manner. I will use this service again. I have Purchased his links on 4 weeks before.All the Links has Good Quality with low OBL. Currently My Keywords are Skyrocket like from Page 10 to Page 3. Thanks iauthority for your excellent work ,All the best . Great work from OP and great result with the power of combo links for my site, I just order biggest package and targeted 5 KWs. I got Improvement when OP started to post and He done the great links placement. Report delivered. Got everything what he promised. Waiting to see the SERP improvement. Will post an update very soon. Thanks and recommend everyone for this service to get quality and unique work. Ordered a 25+10 posts about a month ago and got my full report last week. Communication from seller is good and responsive. Provided 2 URLs with few low/medium competition keywords, I've seen some slight positive movements in rankings so far. Hoping for more increase in rankings as Google picks up all the posts. I order from iAuthority is already the third time. Yet I never once regretted that he ordered his service. All links are always good, always have a good DA. Also, the article always fall in the index, and not depart from it. Review: Great work once again. Content was well written and posted in niche relevant blogs with nice images, definitely looked like effort was put in. All links quality and have good DA. I use this service with pleasure and recommend you. I never once regretted it. I recommend this man. As always you have to fulfill orders quickly and accurately. I am pleased with the good and forward positions. I recommend to all of that person. Really very nice service I ordered once again two packages, I am happy with the qualitative execution of my orders! I have made a 25 blogposts order. I am very surprised with some of the domains as they showed some pretty good stats. I would like to note that my niche is very high competitive and it's normal that few links can't help you rank #1, but I saw some good progress since I made the order. The domains look like a real websites with some good TF and DA. Checked the links on every one of them and they don't look like spammed. The articles were nicely written. Total bargain for this price. Will order again for sure. I just received the travel niche guest blog postings. All were well written and with the cost. I have indexed the links and they already show in my webmaster console in less than one week. Skype communication was clear and quick. Thank you iAuthority! Received my report 5 days ago. Main keyword is now ranked at #36 from N/A. Thanks! Received the report,I have ordered 25 unique blog post from iAuthority. All articles are well written and 100% unique. All post are done on DA 20+ sites.I will update soon with ranking improvements. Just received my report, links are looking pretty fine, communication through out was very prompt and professional. I will surely use this service again and can easily recommend to others. Placed an order for 15 guest posts more. Received delivery of 3 guest posts. The articles are quite good. Communication with the seller was very good. Delivery was within TAT. Overall excellent service. Got an order for 15 Guest posts.Everything is great and on time. All oder is fulfiled as per my needs. Just like to add my review about my last order,everything has done as specified in order. TAT is also good delivered the report on time. All links are placed on unique blogs,and blog design so cool. I will make the another order very soon, thanks. Thanks for the report,all links are perfect and everything is done as requested.content is unique and blogs are well designed. Thanks iauthority. got report,everything looks fine.review will made soon with serp changes. Received my report, good results! Keyword 1 moved from position 30 to position 11. Keyword 2 moved from 28 to 21. Keyword 3 moved from 32 to 25. Keyword 4 moved from 77 to 61. My order was successfully completed. Although domain is pretty new, I saw immediate results with this service. All the keywords are high competitive, yet I started ranking #7 (from #45) on one of them. Great service for extra price. Will order again soon. Delivery was swift and links were as described. I wasn't aiming at any specific keyword but rather sending juice to the site. Few of the inner pages slightly increased in rankings after the delivery. Just submitted my THIRD order for travel niche links. I have seen great gains so far from my first two orders. iAuthority has given me specific sites to choose from and set pricing for each. Very custom ordering! Report received, very fast indeed. Thank you. I had purchased a 10-posts guest post service. I got my report in 11 days, so the TAT is actually faster than most SEO services on BHW. The posts were good, they had images and the DA was between 21-30 for all the 10 posts. The IPs are mostly in the USA, but there were some from the UK, Germany and India - so that was a good mix too. Too early to measure rank impact - I just received the report a few hours back - but all in all the service was pretty good, I liked it! Great experience, full reporting and saw results right away. They also quickly fixed a small issue, which doesn't happen all the time with these services. Recommend 100%. I got the report. Already its ranked with high comp kw. That is i got ranking from #89 to #22. Content and site template are unique and really recommend for ranking new sites. I got links from high DA that is average of 25+ as OP promised. Hope you get some more order for my another new project. Received my order. Everything is done according to my demands. Great job! Many thanks! Today i got report for my order. Nice work! Good blog and guest posts. I checked positions of my site before i receive report and see that's it works! Just received the report the links are impressive. Thanks for the links. Got good results with this service. Want to rank another site. And got some real traffics too with this service. Really nice to see this result. Ordered one more combo package for this time. Please proceed as before you done. Thanks for the report, articles are good with the images. Got some positive movements, let see how it works. Very supportive and detailed guy. Loved the samples he shared. Order placed. Will wait for the final report. Thanks. Thank You. He delivered the link well ahead of time as promised. The content was also good. He was also helpful in providing real-time updates on Skype about my order. Good Luck Mate . It was really pleasure to work with you. I have ordered 40 Posting and they have provided quality posting in time and the niche is as requested I will give one more order for him. Was given ten articles, unique with images. I can already see a slight increase in ranking only by the addition of these ten new articles alone. Good luck with your sales. Show some samples. Review Copy: I got a single link as a review copy, the content was good quality, definitely readable, looked really organic. Good theme on website. Backlink DA was 35, definitely worth buying. Will be buying in the future Too early to see impact on SEO, but all signs good at the moment. Just received a report with blogposts and guestposts. The quality of articles is superb, at least 450 words each. Every article is unique. I used to pay more for this quality. DA is 11-35. Will write for more soon. i would like to thank iauthority for giving me a guest posts for a review copy. thanks mate! review: great job by iauthority! the guest post is submitted to the most related niche for my website, great job for including a link from an authority site. the write-up is not great but the DA is. he also post related images. verdict: i would probably order since he promise that he will do something with the write-ups. maybe its best if you can show first the write-up before it will go live, but over all, the work is great and worth it. Got my review copy yesterday and the article got indexed today. The article length was around 350 words which is just fine. Content quality was okay. The content was Unique. The DA of the site is 27. Domain's Backlink profile was clean. Overall Review - Great Service! SERP Moverment: To be honest, I'm not expecting any SERP movement with just 1 link. but I'm sure with more links. I can jump the keyword into top10. I was lucky to get a review copy from OP, was skeptic at first but that quickly changed when I got the report. The article read so well I had to run it through Copyscape just to make sure, it passed. Metrics were better than I had anticipated and I'm confident my link would pass manual review. It's only been a day since I got the report, so I'm just waiting to see how it goes. Will definitely be coming back for more if OP maintains the same quality. Got my report a few days ago. I found the improvement two days ago. It's still there. This will also helps to rank well as my other links which bought from the other sellers. Seems great service in BHW. Will order soon again. Order around 10 links from all different websites from him. Keyword position overall has improved drastically from nowhere in serps to 2nd or 3rd page. looking forward for more orders to you bro. Report received, Content is good and also got some positive SERP movements. Thanks for the report, everything delivered as promised.TAT is good.content passed the copyscape,thanks. looking for great improvements, now got some positive moments. will order more soon. So I got the report and the link looks good. The content passed Grammarly and Copyscape premium. It's readable and has a good flow. The link is placed naturally and it's do follow for sure. The blog has good site structure with good themes and plugins. Title H1 and Photo is used properly. Report received,thanks for good work and followed my instructions carefully.seen some movements on SERP.will do new order soon.thanks again. The rankings improved from third page to first page. Thanks for the links for this project. Will use your service for another project. Thanks for the report, content is 100% unique as promised. And used relevant blogs and images. Seen some positive movements on SERP. will wait for some days and will update the graph. Good work. So far, I've placed 3 orders. Gotten 2, hopefully, will get the 3rd one completed by the end of this week. The guest posts, the 5 that I've gotten, were awesome. All niche relevant good content. Metrics were a little lower than i would have liked. But, over time those should hopefully gain a couple more DA. Will be making many more GP orders. I don't believe I'll be making anymore orders with blog posts. Sites are generic looking PBNs, the domain names are questionable from the start and nothing was niche relevant (domain wise). Metrics were good, but since I share all work with my clients, there are only 2-5 of the 20 blog posts I got that I'm willing to show a client. Looking forward to more guest posts. Received report, content is unique and links are indexed. DA is good for this price.Seen some serp changes but still need to rank it higher, will do new orders again. I received a review copy of this. I am very impressed with the service, the delivery time was very fast and the quality was good. Will update with results in a couple of weeks so you can all see how it has helped! I received report for the review copy i got....service is very high quality. Articles are very good and quality of sites too. This is a great service sold from a serious and expert seller. ..for sure i will buy more . Report received, Metrics and content are good. Waiting for the improvements for some targeted keywords. Will update the results soon. Content is nice and media is inserted nicely. Overall - This looks like real guestpost, as the post is at homepage will get nice link juice. 1 link from his pbn. Content is okay, looks spun though at places. Manually spun I suppose. Content could have been better but awesome for the price. I will recommend this to a friend, if the budget is on the lower side. And cant say about the serp movement now as I have just received the link. I received an evaluation. The seller provides a blog with TF = 10 CF = 22. Fast completion time. received the report,thanks. got good links from the service. content is good and unique, added images to all articles that's cool.I have done multiple orders with him. delivered report as requested. I have targeted medium competition kw's one from #49 to #25 and another from #57 to #21.happy with results. Will do another order soon. thanks again. Received the report, everything as mentioned.good links for this price.will wait for SERP improvement and provide some more orders to you.thanks. Got my report today.Very professional service! I was surprised to see a very niche design for a pbn with subscribers and sharing options. This is a very strong domain who already appeared on my GWT. OP is very friendly! I would recommend this service if you are looking to rank in google. Received report earlier. TAT is good.sites with good design and metrics as I expected.will place new orders soon. Article very well written - suprisingly great quality for the inexpensive price. Nice relevant Blog guest post had uniqe and relevant picture, plus over delivered on wordcount. Seems good research was made on the topic, as some infos are there that are not obvious but rather go deep into the niche. Straight forward report with all necessary informations. Incorporated my german anchor very well into an english written article, definately can reccomend even for other languages. The communication was great througought the whole process - will definately come back for repeat business! Report received need to buy new links for health niche. Could you send me best sites? report received. A good looking link with some great stats. The article is readable with an appropriate image. The text is a good quality and was delivered in time despite the busy NY season. Report received last week, thanks for provided the links from high TF sites, and articles are written good. Also given onsite report for my site with report, that's appreciate. 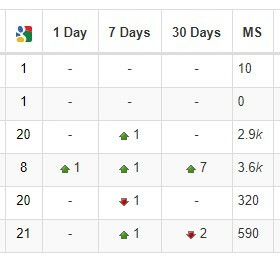 Seen good improvements on SERP, will wait for another 2 weeks to see results, and give new orders. thanks again. Thanks for the report, got everything as promised. Detailed report and drip feed is done for my links.could you send some samples for travel niche,my another project. Hi, report received. metrics are as promised. themes are good and worth the price. DA and TF/CF are of 20+ avg. Content is good but try to give more good next time. And, thanks for adding the images to the articles, that's looks perfect. satisfied with work, will come to you soon for new orders. I have worked with him couple on times. Results are quite impressive. He is quick in making replies and clearing any confusions. Highly recommended. I made an order couple of weeks ago and it was delivered quickly. The articles were of decent quality and a random check of couple of links show they are indexed. Have yet to see rank increase and was advised by OP to wait a bit of time for google to give love. OP's a great guy to work with, dished out couple of pointers and very reactive to questions. Overall, good service and thumbs up to OP. Got report, very high quality of articles and very good metric of sites...i'm already saw improvment in ranking.. Received the report, good links and metrics. articles are written in well, but not native content. added images are fine and also relevant too. Two keywords are moved some positions, will wait some more time to get full result. most of the sites have a good theme and design. overall good service for this price, recommended. thanks. i got free review copy from the OP for 1 link, am late to give this review but here my feedback. the PBN has metrics TF 18 & DA 21, the blog is general one not niche related but OP posted it under niche category & the content is well-written with images. i gave 2 keywords, need some more time to see the rankings. overall nice work done by OP. I received one blog post backlink for review. They have posted a niche related article, with related image, copyscape pased. What I like most, is that they have added lists, titles and bold sentences! I will send them my order soon. Great site and overall TF and CF is good. Niche is also good and proper anchor text was used. Content is also good and readable. Let's wait for the keywords to move now! The links are all good, the content was readable, the metrics of the domains was good. The posts had relevant images (one image in each post). disclaimer: i got 1 free blogpost in exchange for my honest review. i apologize for the delay. PBN has good metrics TF 18 & DA 21 but is general category - i believe some PBN has the most related category, hope OP will include this. can't figure out if my article is spun or non-native english but never the less its readable and great. bonus is I got a related image on this. we have issue with the anchor text used and the link on it but it was resolved as soon as possible. great. verdict: i suggest that you should be aware of what anchor text you will use since OP will just follow your specific job order. overall great job by OP. cheers! Thanks for the report, links are good.article written well and relevant images also inserted.cleared some doubts of mine, good communication.thanks again.wait for my new orders,soon you will get it. Hello, thanks for the report first, and about the content it's not super native but unique copyscape passed, so not bad for this price, I think. blogs have decent metrics DA 20 and TF up to 20 on some blogs. Carried out my instructions well and provided the proper report. happy to work with you. I used low comp. keyword so I can see good results soon, will wait for it. First, let me say that I am a long time customer to iAuthority. But I am never biased or a deceiver. I've told him (iAuthority) that my evaluation will be true and real before he offered me a review copy. So, here it is. The article was solid, well written and good length. The content was totally relevant to the subject, perfectly readable and unique. Relevant image was included as well. The domain metrics were average (depends from the price, of course), but it looks like a real site. Yea, the metrics are not that high. However, overall score is above average, since links to the domain were mostly relevant and real, although not that powerful. VERDICT: Based on the price, I believe it's a very good deal. Provide clear instructions for OP and he will deliver the expected results. Keep in mind that you're buying the links on your own responsibility. There's always a chance for a penalty. got the report, thanks for the relevant links for my niche.content is 70% as I expected, i will provide you necessary information for my articles to get full best.metrics are good for this price.About SERP will wait for some time, some articles are already indexed.hope to see good improvements soon. Everything from order to the delivery is excellent. Work was done as advertised at great value. Really good quality of backlinks provided, thanks. I will order again because of perfection and already i get a periodically increase in my site Alexa and backlinks and some nice improvement in my rankings too. Will certainly make your service priority for upcoming campaigns. Report received earlier, good work.waiting for all links to get indexed,then will give my full review.thanks for following instructions. Short review; Got a report,good work and relevant links.PM me if any new offers going on, have some new orders. Like to write some words about report, I have done orders with iAuthority, good communication and done what I have specified. Also provided some suggestions for improving my onsite seo, that's appreciable. regarding my serp, keywords are high competition so still I need to wait for ranking. Good report for last order, will you help me in choosing right keyword for my new campaign? I got 2 PBN posts for review so listen. The content was spun, but unique and quite readable. The content was related to my niche of course and photos included. The blogs have social shares, good design. The content was 450 words long. One domain did not hide WhoIS, i'm not sure if that's good or bad, but just for your knowledge. Got a report, good links. Happy with report. waiting for all links to get indexed, then i will give review about rankings. Some blogs had an premium themes that looks great. Links are matched my expectation so will make orders again. thank you. Got a report with live links and all instructions followed correctly, thanks iauthority for that. Blogs and the metrics are looks good and as promised. About articles good for this price still need some quality will talk to you later about it. And relevant images makes articles even better. Keywords are medium competition I think this service will help me in good rank. Thanks for good work again, recommended. Received the report in TAT 10 days, that's good. Articles written good with correct keyword usability ratio, thanks for that. And links to my website are placed good, some post had relevant authority links, appreciate that extra link and work. Images attached to each post, my keyword are certainly low search volume and competition so these links is enough for me I think. SERP movements are going positive way one keyword from #NA to #48 and other one #96 to #70. Good work mate, working on some long tail keywords now. Wait for my new order, it will be soon. Recommended. I can say one of good service I have used because the links are well worth for this price, unique content and high metrics Upto tf25 that's great. Targeted for my inner pages, am sure it will help, already getting some good sign in rankings. Review time: Received report with quick TAT, that's the good thing. All links are good and instructions followed correctly. Articles are good for this value and links are placed nicely with given keywords. I am not looking for top ranking with this service, but got some good updates for my keywords, here it is keyword1 from #45 to #21 and another one from #76 to #52, waiting to get it stable, then will go with new orders for the same niche. Impressed with quick and quality of service. And also very reliable for me, so i will purchase again here. I have seen improvements for my keywords, still my keywords are competitive.I am happy with the improvement i got from this service. Most of my backlinks are from niche relevant and some are categorized that’s fine. Trust flow is high and I am expecting high DA for my next orders. Got some problem with one link and it's fixed soon, thanks for that. And instructions are carefully carried out, happy with it. Received report earlier this week, writing a small feedback about my order. Ordered for 10 blogpost, detailed report delivered and content quality is fine, added images to each post. I will provide video embed link for my new orders to get more effect from sites. tracking my SERP movements now, waiting for good position, thanks for good work. I had received the report, solid links with good quality. Blog themes are good and maintaining well, that's appreciating one. All 50 blogpost are from unique sites and hosted on all different IP's so my site will not have any problem with these links. And content for blogpost is fair quality. Metrics are high than my expectation, so i am happy. For guestpost articles written good and posted on relevant sites and categories. Drip feed done properly even without my instruction, and i need for some high quality blogs for guestpost, will talk with you in upcoming days. Keywords are dancing, soon it will settle down i hope after all links are getting indexed. Quality work iauthority. recommended. Review time: Thanks for the report,all good.report is super detailed.links are of good quality with perfect article and images.got promised metrics thanks for that.keep up the good work will send new orders soon. keywords are still dancing, I'll wait for settling and post a ranking position here.thanks again. I got my report with links from all unique sites, content is written good relevant to my niche, that's fabulous. Images are added to each post fine. targeted to my low competition keywords, getting positive updates. And btw do you have any high DA sites for casino, business niches? I am working those niches now relevant links will be helpful. Good work, waiting for your PM with samples, thanks. Got my reports, good looking with detailed links description, kw's and URL's. And About content good to go maybe small changes still impressive for this prices. Images are extra value and relevant ones specifically to my niche. About metrics good usage of high TF sites for my site, so i'll get some good link juice and also seen positive movements after few links got indexed. that's good sign with this service. will recommend iauthority for good work, thanks buddy. Great results from my last order for my comp. keywords,got new coupon code, so placed two diff. set of orders now with discount. waiting to get amazed results. Got report earlier this week, detailed report with good turn around time. backlinks are from relevant niche domains and content is good, addition to that all articles had an image inserted, great. Followed my instructions correctly mainly about anchor text has done clear.DA and TF got avg. of 22 and 24.5. Keywords are dancing from page #3 to #1 now, let see where it will settle. Will do bulk orders next time while getting good positions. Any how good work from this man, thanks for that. Got report as requested thanks for that iauthority. Great links linked to my target site.i would need tier2 for it.let me know if you can offer it.very pleased with the work. Recommended always. Impressed with the report, good quality links as I expected. Many thanks for iauthority for providing links from low spam sites. And niche relevant too, articles written good with suitable title and bulleting the important points. Added images increased article quality well. waiting for natural indexing of links, few got indexed now. Decent metrics sites with good themed and got social share buttons, amazing. I think will get good position with these links.lets see. I am very late with the report, but the delay might help some people see what happens a month after the backlinks are placed. I ordered 10 blog posts and 5 guest posts. Content was very good and had images. DA was very high. It's been more than a month now and the PA for each individual post is high as well. For the majority of the blogs, the DA has gone up since the time of the posting. I received 7 unique domains for the blog posts and 4 unique domains for the guest posts. I didn't realize they would be replicated but I suppose that looks natural to google in some ways. These posts were a major part in my SEO strategy, and my website has gone from buying the domain to ranking #9 in local SEO very fast. I think that it is, in large, because of these backlinks. iAuthority has been very helpful and patient with me through the whole process. Definitely top quality support here. I would definitely recommend these services. very quality links received in report, seeing good ranking positions now. I will wait for few more days for steady positions. Got report with everything as promised like last time, looking forward to positive changes. Will make detailed review after my keyword dancing settled down. Got solid results with this service, good quality links with well written content. Combo worked well for me, guestpost had high DA upto like 25, 23 great for this price. Blogpost content 100% unique as promised and avg. TF of 20+ amazing , quality of sites also good with well themed and dripfeed done properly. Articles with images and placed my anchor mostly on first and second topics that's great, the effect will be more i think. seen some good improvements one keyword moved from page #7 to page #3 now and another one from #NW to page #5.thanks for the good work bud. Received my report for 10 guestpost, all links are under unique domains with quality content.Got niche relevant post with decent metrics.its very early to talk about keyword rankings, will make detailed review later. Got good results than i expected, thanks iauthority for this good work. will do new more orders for my other keywords soon. Very pleased with the work, recommended. Just wanted to write a review. Content was very well written. Thanks for the report, good links with high tf and da that boosted my keywords now from page 3 to 2 and another one from 5 to 2 still dancing will wait to settle. Unique content and images are done as specified. All links are from unique domains. Especially got a TF 28 as highest and posted on niche category, that's well. thanks once again. Ordered the guest posts last time and they did help with rankings. Only negative was that they weren't niche relevant. Done good job in backlinks and rankings in promised TAT period. Targeted keywords are pretty comp. but already ranking on top pages now got boost on LSI's and two main keywords with this service links, I'm waiting for more good position changes, I hope it will happens. dripfeed done properly as requested, and I like the diversity on using anchor placement on articles, it looks natural. Images makes article more relevant. Also got some good trustflow links in blogpost section, that's great. working on more LSI now, will shoot you soon about new orders, thanks. recommended. Thanks for the report got my all link placement on excel file in well formatted way. DA and TF are about 20 fair value I think, good really. And about content all unique as promised and links are drip feeded still I am not mentioned while ordering, happy to see it. I am waiting for my top keywords changes, other low search kw's are got improvements. Can you send me some health samples? Thanks for the honest review @Tom_ crazy one, waiting for your detailed review and new campaigns. Hi @Arthur kin, thanks for the order. The report will be sent soon. Thanks for the order @olli1, will send the report soon once completed. Hi @Abizer, samples sent via PM, please check and revert us back. Placed my new order here for business guestpost pack and phenomenal pack 2 with 20% offer. Waiting for my keywords to see on top pages. Thank you. Report received in TAT, all good and got changes for my two keywords from page 4 to page 1 and another from page 5 to page 3. Waiting for few more days to see actual position. Still it's good results for me through this service. Thanks. Recommended. Interested, please send me some samples. Appreciate the work, really good results for my medium competitive keywords one from #NW to #46 and another from #NW to #30. The links are good and anchors are well managed on articles, and articles are written with some LSI's that helped me for my other main keywords. All links are indexed naturally, that takes more time on other services I have ordered before. Felt happy with the results, will make next orders on upcoming week. waiting for surprising and regular client discounts, thank you. Thanks for the order @UFO, will send the report soon once completed. We're happy to serve always better on each order. Hi @eclipseman, happy to see that you've got good results with our service and also thanks for your recommendation. Hi @blackngray, samples sent via PM, please check and revert us back. Thanks for the detailed review @krik magic, and we're also happy with the results you got and looking ahead to your new order campaigns. Write me after the report send. Thanks! Hi, Can you PM some samples please? Thank you. Thanks for the order @Abizer, will send the report soon once completed. Hi, Thanks for your review copy order @Seo khan, will revert back to you once the order is done. Thanks for your interest @longname, samples sent via PM, please check and revert us back. looking for great results like before, thanks. Thank you, hope I will get good results! thanks for discount, placed my new order for 2nd combo. looking for good movements like last time, if need any details PM me. thank you. Got my report, all good.content is unique and readable with images.here are my keyword rankings now. Waiting for top positions.